This beautiful old window is still in its original frame. It was removed from a house in Bradford during refurbishment. This is a window of outstanding beauty and value. The frame and the leads are in sound condition. The frame measures 28 1/2 "H (inc 3" sash feet) x 40"W (73cm x 102cm). The glass measures 25 1/2" x 37" (65cm x 94 cm). The glass has no chips or cracks and the leading is in excellent condition. 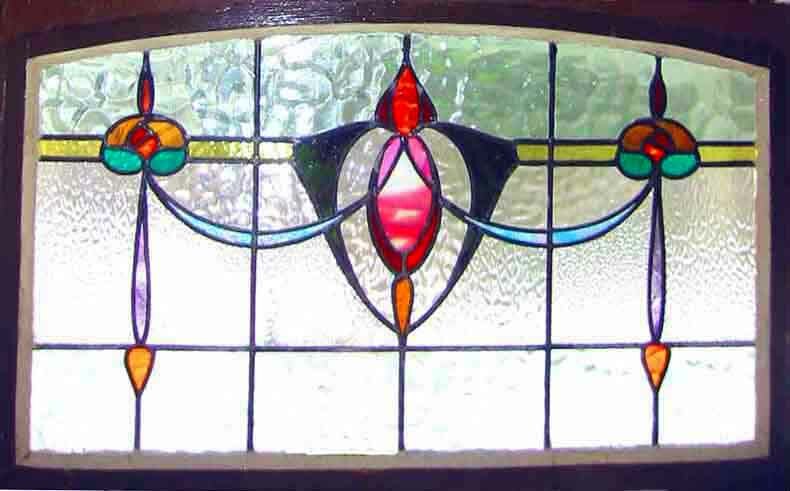 This coloured glass is of a heavy and deep texture and is full of character. I accept most credit cards via Paypal and Bidpay, also personal cheques, money orders etc. Shipping for USA would be$159 including packing and full insurance.